The longstanding partnership between St. George’s University, Grenada, and Northumbria University, UK, was strengthened again as 72 students joined the Keith B. Taylor Global Scholars Program (KBTGSP). The relationship between the two institutions, now in its eleventh year, enables SGU students to take the first year of their MD degree—basic sciences—at Northumbria University, before returning to Grenada to continue their studies. 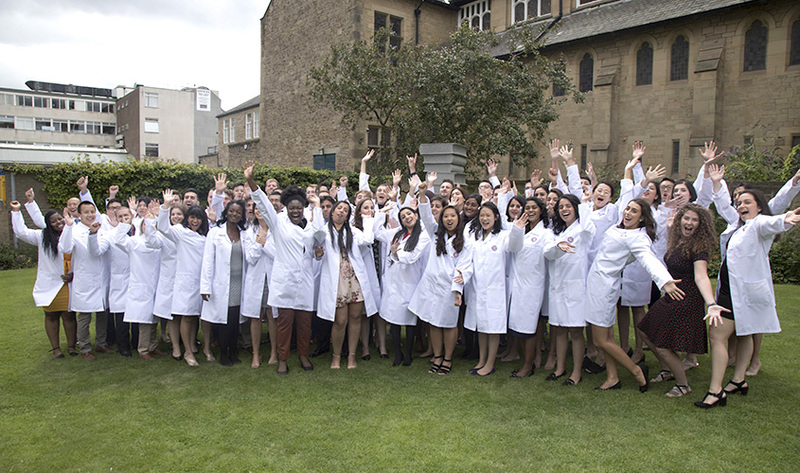 The occasion was marked by a traditional White Coat Ceremony, where the students were ‘robed’ in their white coats, a symbol of the medical profession, before taking an oath of commitment to use their training for the benefit of others. A key focus of the KBTGSP is to encourage medical students to devote at least a portion of their professional lives to the service of developing countries, underserved regions of the world, or international NGOs. Leading the occasion was Master of Ceremonies, Gordon Bourne, MD SGU ’17, a graduate and faculty member of the KBTGSP at Northumbria, where he serves as a clinical tutor. As the grandson of SGU’s first Vice Chancellor, Dr. Geoffrey Bourne, and nephew of its third Vice Chancellor, Dr. Peter Bourne, his family has a long history with SGU. A former Royal Marine, Dr. Bourne spent seven years working and traveling in Sub-Saharan Africa, principally working with anti-poaching units in Tanzania. “Learning how to adapt and how to survive” is as useful in medical school as in the marines or the bush, he told the students. Dr. Bourne introduced Baroness Howells of St. Davids, the only Grenadian in the UK’s House of Lords and president of the Windward Islands Research and Education Foundation (WINDREF)—SGU’s research arm. 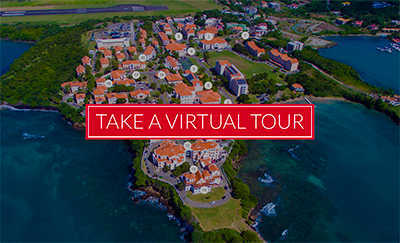 Baroness Howells welcomed the students, and remarked, “You will enjoy your time at this splendid university before continuing your studies at SGU in Grenada, where you can bask in the land of perpetual sun”. 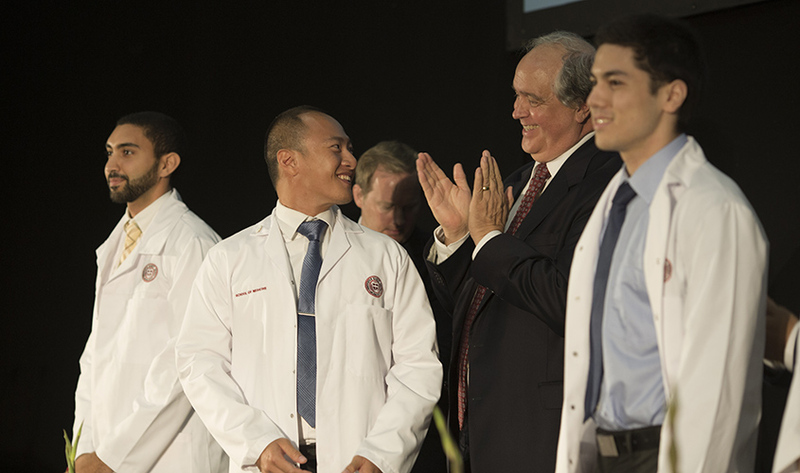 Having been robed in their white coats, the students joined their friends and families at a reception, before taking their first steps into a career in medicine.